Installing a new kitchen can seem like a daunting task at first but for those experienced DIYers out there here are some tips to help you as you go along. The first step is to obviously clear out your old kitchen. Don’t throw away anything that you don’t have a replacement for as you won’t know how long you may have to wait on ordering new appliances. The hardest part at this stage is disconnecting the water and electricity supply which you should get a professional to do if you’re not comfortable tackling it yourself. Whether you’re confident or not, it’s against the law to disconnect or connect gas kitchen appliances without a Gas Safe registered Engineer. Once you have cleared out your old kitchen it’s time to start installing all your new fittings and worktops. Starting in the corner of the room, mark out where your kitchen cabinets and worktops will be placed, using a spirit level to ensure you won’t have any wonky fittings. 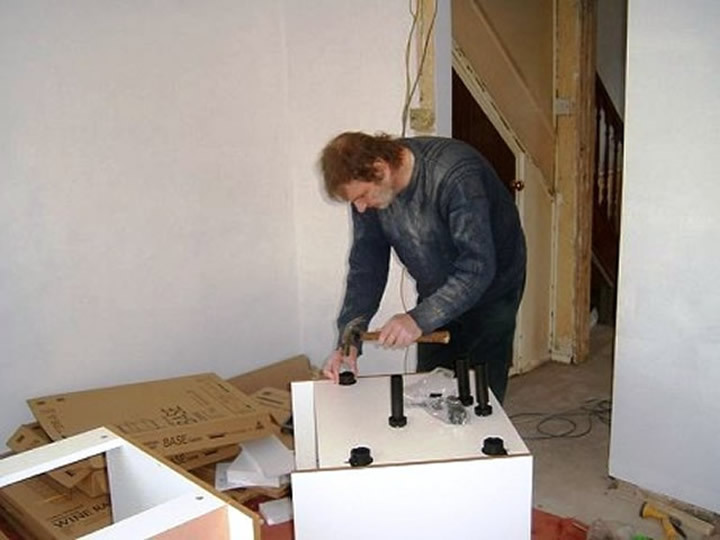 Your cabinets should be relatively straight forward to assemble (if you use the instructions) and screw into the walls. Like the marking out, start with fittings in the corner of the kitchen and work your way outwards. 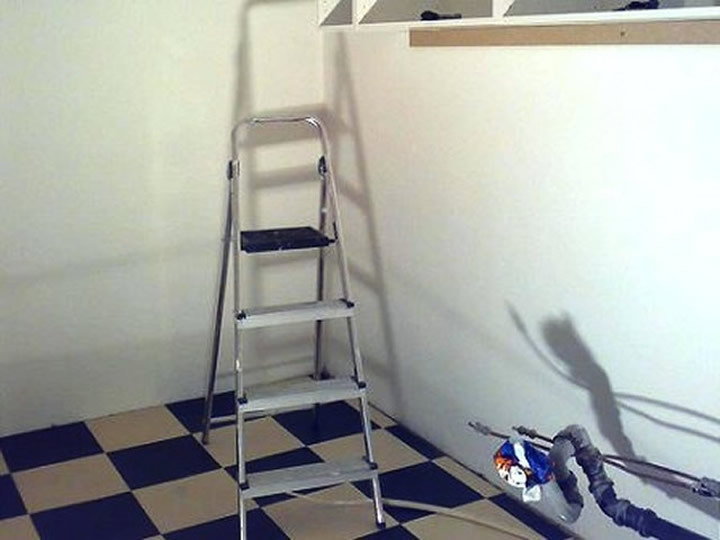 As you go, remember to continually check that each cabinet is level. When installing worktops, create a template that will make sure that when you cut them out they will fit snugly against the kitchen wall. For wooden worktops, apply silicone sealant to the exposed edges and cut out spaces in the surface for things like hobs and sinks. When it comes to finally installing the worktop, use woodscrews to lock the fittings securely into place and once again use that trusty spirit level, as accuracy is everything. Installing a kitchen is by no means an easy feat but these tips should give you a helping hand along the way.